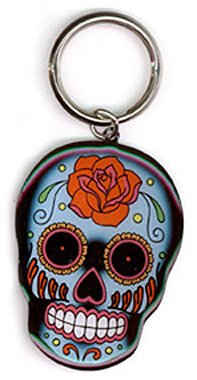 This trendy rose sugar skull design now available in a metal keychain. 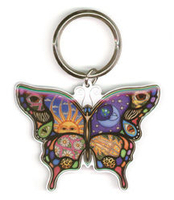 Size: 1.75" x 2.5". Artist: Sunny Buick.